I had to go to Den of Geek to get the image, I'm not sure if it's episode related. Apologies if it isn't. It's related to a scene which illustrates just how clever Daryl is. When Daryl put the first crossbow bolt in a walker's leg, I could not believe Mister-One-Shot-To-The-Head's aim could be so far off the mark. 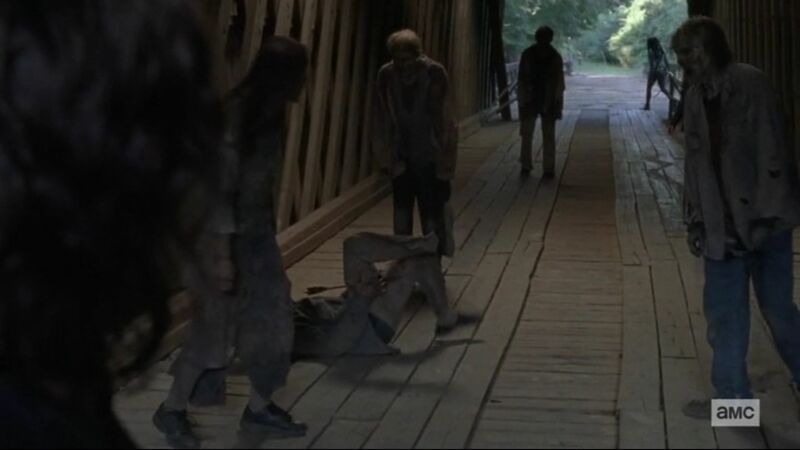 When he hit another of the whisperers in the leg, and the man went down in yelp of pain, causing the real walkers to begin a feeding frenzy, I was impressed. What a perfect, Daryl-style whisperer detection method! Overall, I thought this episode was a great continuation of the season. The death of Jesus didn't get as much attention as I expected, nor did Negan's escape. I assume a lot of commotion was going on back in Alexandria when his cell was found empty, although his new bestie,, Judith, didn't seem to have any difficulty finding him. The scenes with the two of them were cute, although I watched them tensely. Judith is a savvy little survivor, but she can't possibly realize how much of a deadly psychopath Negan is. I can't say that I shed a tear over Negan's sad realization that he can't go home again. Rearranging the scattered Sanctuary furniture apparently did not do the trick for him. How long will it be before Negan finds a new bat? I was expecting him to stumble upon one while rummaging through the clothing store. Negan: You sure as sh*t did. Judith: Language! I’m a kid, a**hole! I kind of like that they changed the recap to a narration over the recent events. More so the series is also showing the change in the leadership, as the vision is leaning more towards traditional horror than a fight against human adversary. I get why Negan left his prison after six years, because the first duty of every prisoner is to escape. The freedom for a human being is something that we all gravity towards. It keeps you alive by just thinking about it. If they'd put him in one those medieval mancages with no room to move, then the whole thing would have been different and definitely fit for the crimes he'd committed. 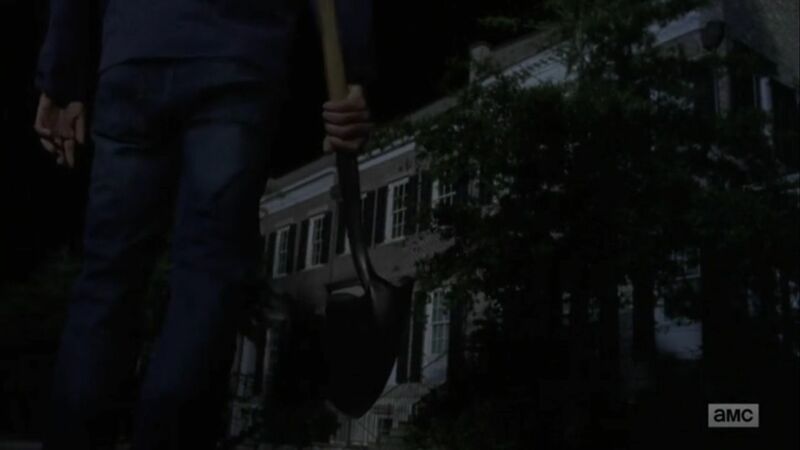 It would not have left him able to carry a shovel, but for man in his stature, the shovel is a fitting weapon. Personally, it kind of creates the aura of man who had already decided to bury his worries and not really care about who he clobbers with it. Lucille was a terror weapon, while the shovel is a tool for a dedicated fighter. It takes a skill to be able to use for satisfactory effect. Against the rotten dead, perfect. And if there is need, you can use it as a traditional tool to dig a hole. The only chance I would make is the handle. Thing about his escape and return is that over the years Judith turned him to a daddy. Not a real one. But one that she needed. The talk taht Negan gave afterwards pointed to the fact that there could never be a point that he would hurt that girl. That thing has happened to so many people in the course of the apocalypse as time and again they've adapted someone else than their own blood. Judith might not know those feelings or have taken him as a stepdad, but at the end of the day, without Rick, she has no choice if she wants to learn about the world and its people. Negan is the dad she never chose. But later on she will understand how many valuable lessons that bad man gave her. At least he's not an a**hole like Merle. Out of the all people Negan is probably the only one that I accept. I hate that he killed so many good people, but against the Whisperer's the TWD communities are going to need every fighter they can find. I vote Aaron for a leadership role over Daryl. The reason, he's smarter than Daryl and he has more diplomatic skills than our beloved, scruffy ranger. I personally counted Jesus as Rick's number one, because in his right mind, Rick would not have left the communities on Daryl's shoulder just because Daryl is a bit too stoic. Aaron was also right, "Jesus made his own choices. He knew that the time would come and he didn't care." When they returned back to hilltop Aaron genuinely showed that he cared. I just don't understand why he nor Daryl didn't carry with themselves a blood bag or tools to do a blood transfusion. It is one thing that could have saved Jesus. Why is that they don't carry first aid supplies with them? It is like over the course of the apocalypse that the people forgot the first aid. Like it became an afterthought and nobody cared to relearn it, even though it could have kept their companions alive. Maybe we should blame the loss of all doctors for that. The Whisperers obviously thought at some point that if the dead had changed, they should do and just like FTWD's Martha did, they dived deeply into the mad bucket. The skinsuit is work of a madman, and it's flaw is that it'll still alert the dead, if you drop the act. Just like @REBerg pointed in his commentary. What a brilliant shot from Daryl! Sick move from the Whisperer's. Maybe the idea came when they had to use excessively the zombie juices to camouflage themselves. Whatever it was it didn't make them mad, just clever as the skinsuit better and longer lasting than using the juices. It surprised me that Dr Evil didn't figure them out, but instead he lost a bit of his sanity. 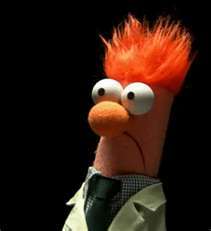 Second time, when he learned that Rosita had become pregnant. I'm certain he wanted to be the daddy. It's just at the post-apocalypse there aren't many chances. So why the smarty pant doesn't focus his energies to be otherwise creative, and understanding the world around him. The Whisperers are the puzzle that should make a man like him to glow. It should excite him instead of driving him towards the chaos and madness. "Because you are damn best character judge I know," was Michonne's answer. Well, no, because Aaron would right man for the job after Dr Evil. The simple reason, Dr Evil has the imagination to go beyond the normal people, as they need to ask why now and what for? None of them really know what's out there in the land of the dead. The Whisperer's could be a nomad people, who learned that the skinsuit are the ultimate way to travel with the dead. All the others requires ammo. I too did find that funny, but also as a daddy moment. Like I said Negan is the daddy she chose, but he's as much her stepdad as any other man, who were close to her. Negan might never voice it, but he has already accepted his position and I believe he would give his life for Judith. Alexandria, how on earth did no one see Negan escape, no guards on wall, the only person patrolling is a 6 year old. The whisperers are unreal, think my favourite villains so far. I know they have just been introduced but how terrifying must it be too suddenly have what you think is a walker coming at you with a weapon? Is Tara strong enough to lead Hilltop or would a better option be to have a council of her, Sadiq and Edith? I feel Maggie was preparing Edith for leadership. Also shouldn't they be alerting the kingdom and Oceanside of the new threat? Henry is shaping up to be the village idiot or is he in cahoots with Daryl. I did think this was an excellent episode overall. 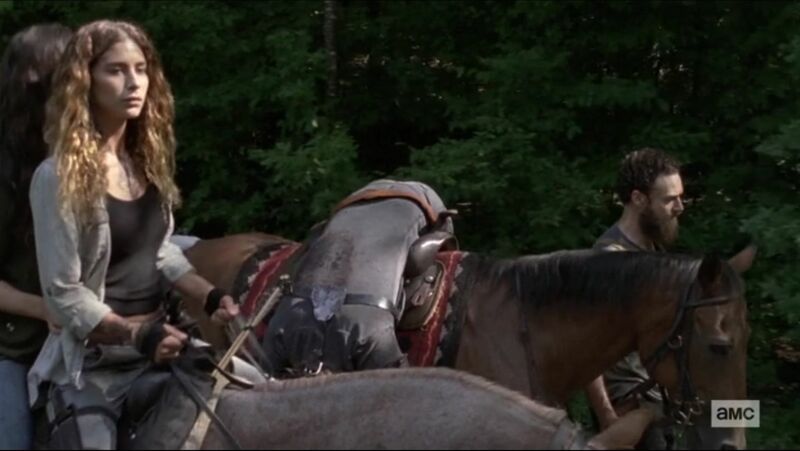 Loved the scenes with Judith and Negan. I like what they have done with his character which allows Jeffery Dean Morgan's natural charm to come to the fore. I can live with redemption in a character if it is done right and bonding with Judith could be the right track, although what Michonne makes of it all will be interesting. I don't think they had a reason to keep guards on the walls. It's not like there are people out there actively seeking to destroy them. I know that Lydia said: "No walls will protect you," but back then, nobody really knew Whisperers were out there. 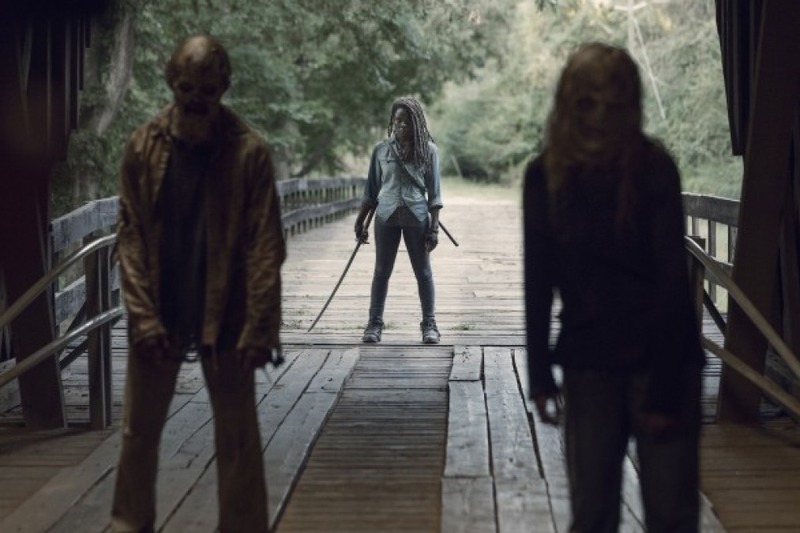 I know they have just been introduced but how terrifying must it be too suddenly have what you think is a walker coming at you with a weapon? If it's a soldier corpse then yes, it might have a weapon, but yeah, you're right, if they're actively carrying weapons then they cannot be dead. They should, but the problem is how far they can get before they encountered by the Whisperers? Or he is coming to age, where his hormones overdrive all reasoning and instead of using the brain, he's using little Henry to think. I don't think they had a reason to keep guards on the walls. It's not like there are people out there actively seeking to destroy them. I was thinking more of the walker threat, someone keeping an eye out for hordes. I thought so, too. Kind of a bad cop/good cop thing. I changed my mind when Henry began revealing things like the existence and location of the Kingdom. Daryl's reaction made me think that Henry had earned an extension to his jail time. Negan waiting till morning to leave seemed ridiculous. Unless he got the keys just before dawn, I don't remember. I agreewith Nixie also that there not being a single adult guard unbelievable. It is ok to have him escape and also Judith to see him. But they could at least have shown him avoiding a guard's route or something like that. I suppose it could be that in the 6 years they have stopped worrying about anyone coming in, and they didn't think Negan had chance to get out. The Whisperers are interesting. It seems there are quite a lot of them! We will gloss over the fact of how their masks cover their scent. Yeah. I agree. About that scent, could it be that because they don't bath, they smell? Can you imagine wearing someone else skin and what that would smell like? I remember from my childhood the flyfishing tools and how all feathers and stuff smelled, because they were still attached to the skin. It might take some time to get rid of the smell of death, and afterwards, it's up to you (royal you) on how you cope with the smell. Anyone who has encountered sun-ripened roadkill knows the powerful stench of decaying animal flesh. That raises another question: Do the whisperers keep their rotting skin masks in fly-tight containers when not in use, or do they shake the maggots out before putting them on for each outing? Do the whisperers keep their rotting skin masks in fly-tight containers when not in use, or do they shake the maggots out before putting them on for each outing? I think we are going to find out if we are ever get to their camp ... if they have one. But thing is, only a zombie can be a true nomad. Humans in the other hand need their possessions stored somewhere, and as we cannot eat raw human flesh, or tainted one, you're going to have problems. To conclude the first Walking Dead episode of the new year (which saw an uptick in ratings), Alpha presented herself in true-to-the-comics form to point a double barrel shotgun at her new hostages. Though the TV series has been deviating from the comics extensively in recent years, Nicotero and company were proud to bring a panel from issue #132 to life. "I've been giving kudos to [showrunner] Angela [Kang] for a year for her impeccable casting choices," Nicotero told ComicBook.com. "Because I really feel like she is taking the show to a whole new level with her casting. And with Samantha, Samantha showed up, man, she literally was like, this is a role of a lifetime to be able to play this character that is so nuanced, and has such depth and such complexity to it." After casting Alpha, Nicotero wanted to be sure his team went the extra mile in designing the character for television. "We've talked about putting a bald cap on her, shaving her head," Nicotero explained. "I had some friends in London do a head cast, and then they shipped the head cast to LA, and we designed Alpha's mask, you know what I mean? Just the design of the Whisperer masks themselves, was something that we were really excited about because it gives you that opportunity to create these faceless emotionless killers." About that shovel and the reason why I'm saying it's good as in capable hands it's really lethal as you can see in this witcher 3 clip. Although the boss is op, it also shows the reach and the potential that a shovel can do in capable hands. Negan was just getting used it. Henry is shaping up to be the village idiot or is he in cahoots with Daryl? I still think it was planned by them to get her to open up. You would need to produce some information if you want her to believe you are a soulmate and share back. It doesn't matter if they are going to kill her later. And they will have to do that. The only other alternative, to torture her with the electrodes and pliers - well no one has the stomach for that as they seemed unhappy even shouting at her a bit loudly. The smell of death; of rotten meat, is a smell I cannot stand. There is no way that I could do that even if my life depended on doing it. However, in the land of the walking dead, the man with no sense of smell is King. The only other alternative, to torture her with the electrodes and pliers - well no one has the stomach for that as they seemed unhappy even shouting at her a bit loudly. You can do it if you have no choice and you still want to preserve the life. Negan could do it very well and he would be perfect candidate for the job, even if they kept him in the cell block. It's just, you have to handle him and keep the subject alive. I still think it was planned by them to get her to open up. You would need to produce some information if you want her to believe you are a soulmate and share back. True, but Henry didn't need to provide accurate information, unless they had reason to suspect that their prisoner already knew the answers to the questions she was asking. I will be surprised if that Whisperer doesn't escape and/or kill someone. I hope they will keep her under control and get at least some info. Surely this is building to a big hoard with Whisperers heading to Hilltop or another location. Maybe the Whisperers plan to spend a few days at Hilltop and then go on to the next victim. Or perhaps hit both Alexandria and Hilltop the same day if they know there is a connection and have enough numbers.